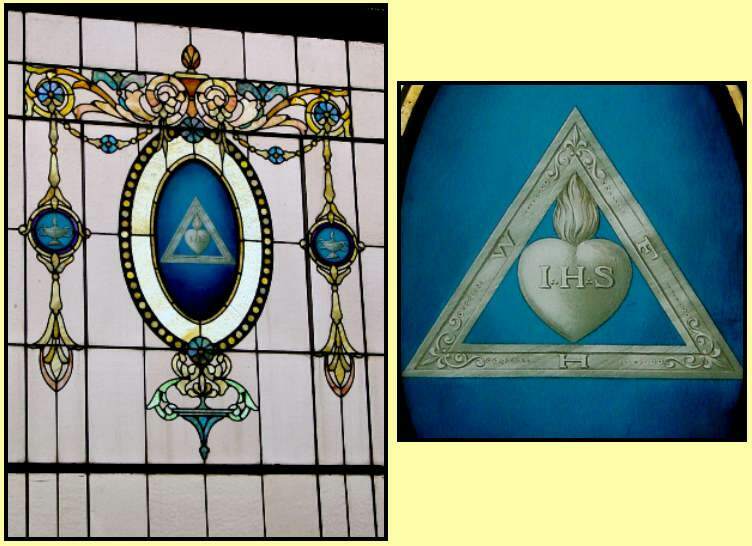 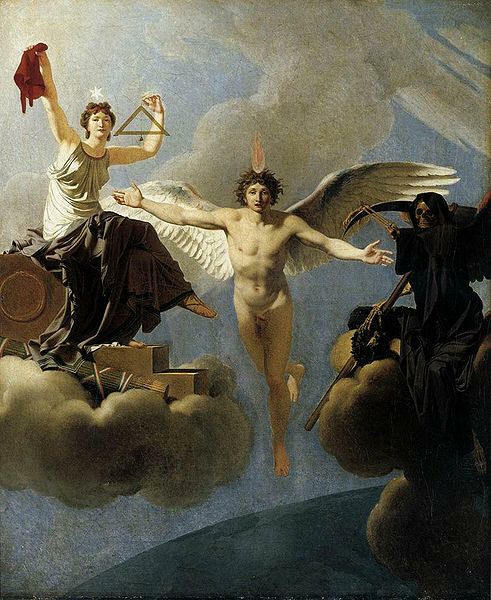 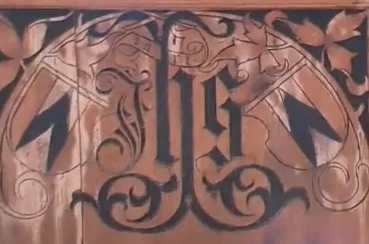 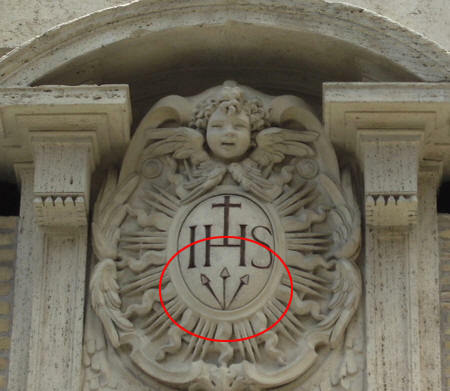 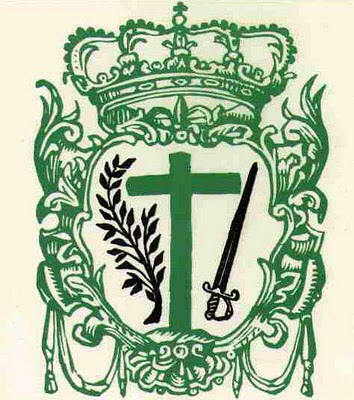 Jesuits "IHS" stands for "Isis, Horus, Set" - the Egyptian trinity. 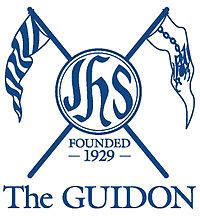 The GUIDON is the official student newspaper of the Ateneo de Manila University. 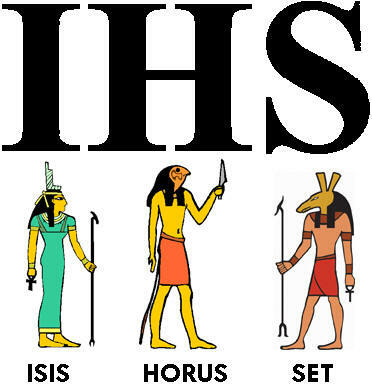 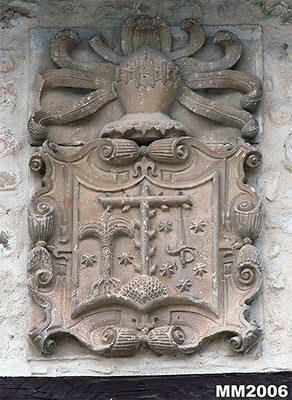 The "tree branch" represent ISIS; the "thorny cross" represent HORUS, and the "sword" represent SETH.